BIOS: GENESIS 2 presents new features. You start as an ingredient in the primordial soup, and try to create life. Solitaire, competitive, and cooperative play options. This is the first game in the Bios. BIOS: MEGAFAUNA 2 is a strategic game with a lot of fun. Preorder BIOS: MEGAFAUNA 2 at direkt eG. JOHN COMPANY is inspired by Phil Eklunds "Lords" Games. JOHN COMPANY tells the story of the EIC from the inside out. Your goal is simple: use the Company's prestige, power, and trade profits to secure your place in British society. 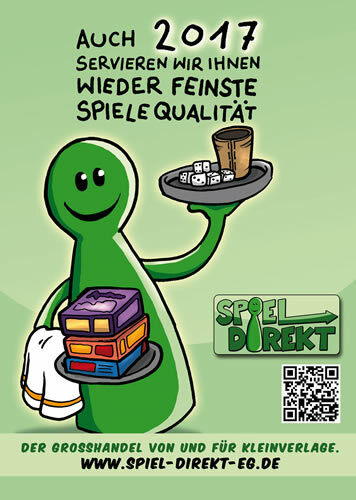 Preorder JOHN COMPANY at Spiel direkt eG.